The area was ruled by Alupas till the end of 14th century followed by the emperors of Vijayanagar, Keladi Nayakas, Hyder Ali, Tippu Sultan and then by Britishers in 1799. Before 1860, Dakshina Kannada was part of a district called Kanara, which was under the Madras Presidency. In 1860, the British split the area into South Kanara and North Kanara. 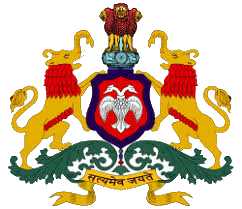 During the Reorganisation of States in 1956, Kasaragod was split and transferred to the newly created Kerala state and Dakshina Kannada was transferred to Mysore state (present day Karnataka). In 1997, the govt split the Dakshina Kannada district into Udupi and present day Dakshina Kannada districts. The district is famous for red clay roof tiles (Mangalore tiles), cashew nut & its products, banking, education and for its exotic cuisine. The Moodabidri known as Jain Kashi, Dharmasthala, Subrahmanya and Ullal are major pilgrimage centers.